An apartment was purposefully set alight in the misguided plot, killing four of the home's residents, including three children. 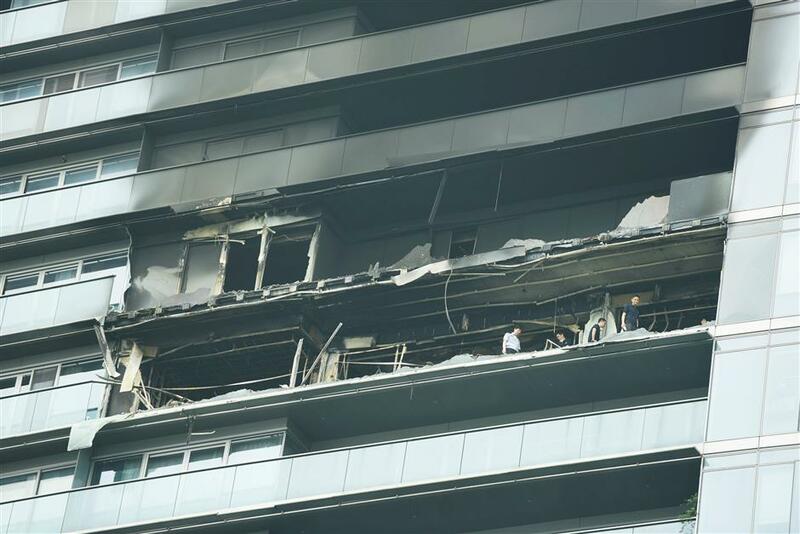 View of the building after a domestic helper intentionally set her employer's house on fire, killing four people, at a high-end residence in Hangzhou city, east China's Zhejiang Province, on June 22, 2017. A domestic helper who was accused of setting a house fire which killed a mother and her three children in Hangzhou, Zhejiang Province, in June has been charged with arson and theft, Hangzhou People’s Procuratorate said Monday. Mo Huanjing was alleged to have been addicted to gambling and stole valuable things from her employer, Zhu Xiaozhen, on several occasions to pawn. She also borrowed money from Zhu by claiming she needed cash to buy a house in her hometown. Mo lost 60,000 yuan (US$9,012) in gambling on her cellphone on June 21. In order to borrow more money from Zhu, Mo decided to set a fire and then put it out in a bid to win her gratitude, according to the indictment. Mo was alleged to have used a lighter to set fire to books in the apartment at 5am on June 22, killing Zhu and her three children, aged from six to 11, and causing economic losses of 2.57 million yuan to Zhu’s family and neighbors. Investigation found Mo had been fired by three previous employers for stealing from them while she worked as a domestic helper in Shanghai and Shaoxing, Zhejiang Province, before she came to Hangzhou.